If you’d like to know how to make knitted lace, Craftsy has a number of great classes for beginners and beyond. 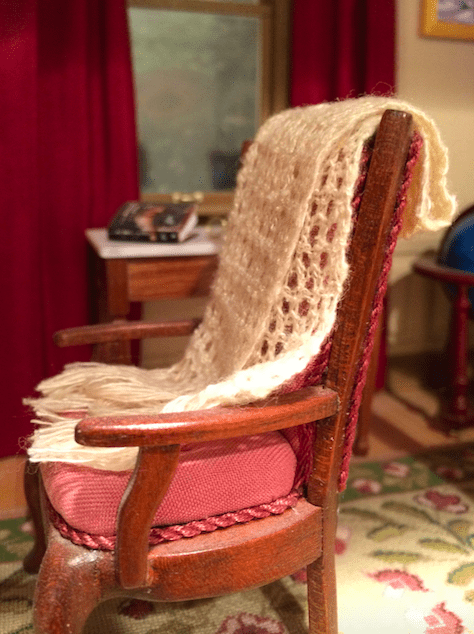 This fantastic class takes you through the basic types of casting on for lace, teaches you to understand the relationships between the types of stitches, and prepares you to make a stunning scarf in delicate lace knit at the end of the class. Lace knit shawls, such as the Estonian knits or “Wedding Ring Shawls” from the Shetland Isles, are delicate and ethereal pieces of art which have never gone out of fashion. The “Wedding Ring Shawls” were made from yarn spun so fine and light that the finished shawl could be drawn through a wedding ring. 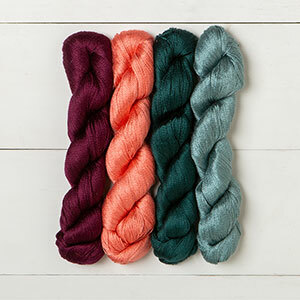 Usually fine wool or cashmere lace-weight yarns, these shawls are truly timeless garments. Lace knitting patterns have also been adapted for household use in the form of tablecloths, bedspreads, and doilies. Some of these look a little bit dated to our modern eye but are great household accessories for Victorian style homes. Miniature knitted lace on a 1″/1′ scale, by Sue Resseguie, IGMA Fellow. For more information, there are a number of excellent books available to see examples, learn the basics, and understand the lace knitting design process. Here are some of my favorites. Click on the link to learn more and to support my blog! If you’re interested in learning more, check out this beautiful Etsy shop called Heirloom Knitting.